Is the Frank Gehry–designed Guggenheim Abu Dhabi dead? 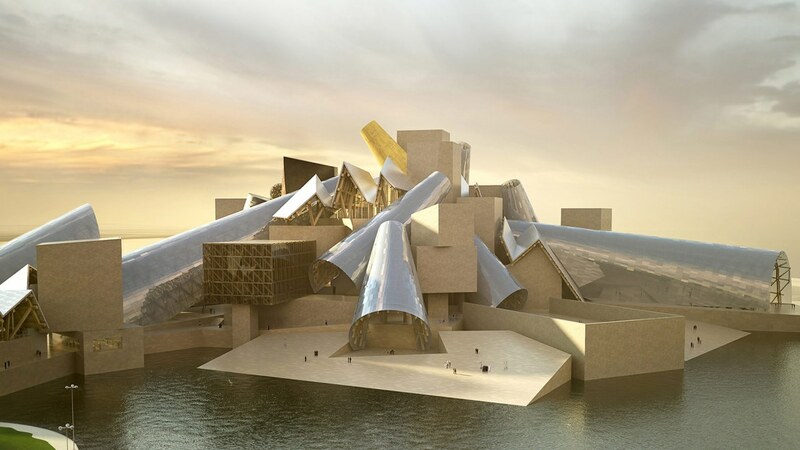 - Archpaper.com Is the Frank Gehry–designed Guggenheim Abu Dhabi dead? In a podcast posted on March 21, former Director of the Guggenheim Foundation, Thomas Krens, cast doubt on the near-future hopes of building the Guggenheim Abu Dhabi, a project he helped set into motion in 2006. The museum, designed by Frank Gehry, was originally scheduled to open in 2012 and would be the largest branch of the Guggenheim to date. The project was one of several cultural institutions designed by the likes of Foster and Partners, Jean Nouvel, Zaha Hadid, and Tadao Ando as part of a larger plan for Saadiyat Island in Abu Dhabi. Construction of the Guggenheim has been delayed several times and, as of 2017, only Jean Nouvel’s Louvre Abu Dhabi is near completion. In his podcast interview with In Other Words, produced by the art advisory firm Art Agency Partners, Krens states that he believes these delays are intentional to help the city gauge the reaction of locals to the new development. Because the plans for this new cultural hub were drawn up in more “naïve” times, Krens thinks this type of development is just something that can’t happen in the current climate. The potential for the museum to be seen as a target for terrorism was a fear that the Guggenheim team addressed from the beginning of the project, and something Krens views as more worrisome now. To find more information about the Saadiyat Island development, you can visit their website here. Abu Dhabi remains committed to developing an innovative cultural destination on Saadiyat Island for Abu Dhabi’s residents and visitors. Louvre Abu Dhabi is set to open this year, and together with the Solomon R. Guggenheim Foundation, we are unquestionably progressing with the development of Guggenheim Abu Dhabi. The programme and collection of the Museum have been progressing for the past years and we have recently launched The Creative Act: Performance, Process, Presence, the second exhibition of artworks from the Guggenheim Abu Dhabi collection. Abu Dhabi Tourism & Culture Authority is continuing the development of the Guggenheim Abu Dhabi’s curatorial narrative, collection and educational outreach with the expertise of the curatorial team to bring this museum to life.